We will start by saying, this article is not intended to bash any wedding venues. In fact, we work with a lot of wedding venues and we value the partnership we have with them. Also, in order for you to understand the purpose of this post, you’re going to have to be open minded to the 3 reasons why your wedding venue might be a complete waste. First off, which is the most important reason… price. If you’ve began planning then you already know that not only is the total price OUTRAGEOUS but your required deposit is on average 50% in order to reserve the venue. Why so much up front? Because the availability is limited. You see, a venue is only a single location. So, once you lock it in, it’s basically final. Venue cancellation fees are so high because of the limited availability. The reason this contributes to being a complete waste is because, if you aren’t 100% sold on the venue then you can expect to have a really tough time “opting out” of using the venue. Another role that price plays, is the amount of additions. Keep in mind that your wedding dreams/plans will change 100 times from the time you start planning to the time you get married. Venues… well to say the least, it’s very difficult to make changes throughout planning without paying the price. How do you avoid this? You ask about everything up front. I can’t tell you how many times a bride has come to us and said “we are getting married at so and so but didn’t know that tables and chairs weren’t included so we would like to get a quote for our seating arrangements”. There are two sides to this. 1) Find out up front if rentals are included and if they aren’t, expect to pay extra to rent them yourself. 2) If rentals are included, 99% of the time they are overpriced. Why? Because it is very common for a venue to use rental companies like us to get their rentals from and they might say rentals are included but they pass that added expense onto you. Even though this doesn’t apply to all venues, we’re talking about the average scenarios in which we want to help you avoid paying extra for something you shouldn’t have to. We have an article that talks more about this. Compare Venues Vs Tent Weddings. What Is A Wedding All About? The ceremony is about tying the knot between you and your fiance. It symbolizes love and eternal commitment. So what is the reception all about? Having fun and celebrating your new relationship status; married. You’ve got all your family and friends with you on this day to CELEBRATE. Now, would you rather celebrate for a small time window of on average 2-4 hrs or would you rather celebrate all night long? 99% of wedding venues charge for a “reception time” which again, is typically 2-4 hrs. Even though this might seem like enough time, we’ve all heard the expression “time flies when you’re having fun”. If there is any weight that this article pulls, it’s letting you know that as soon as you start having fun on your wedding day, you aren’t going to want to enjoy it for just a few hours. You must have to really, REALLY love the view/scene of the venue in order to pay all that money for just a few hours. The reason this could add to your venue being a complete waste is because you might not have considered other alternatives where you can celebrate longer and for a lot less. Here is the best way to sum up the value of a venue. If I offered you 10 apples for $5 or I offered you 6 apples for $4 which offer would you take? If having your wedding at a venue is all you’ve considered then you might not even know there is a better offer out there. So, it’s important to understand that you DON’T have to pay extra for less. What’s the big secret alternative to having your wedding at a venue? Instead of explaining, I’ll show you. Click here. This might not be a great comparison as I have never been to prison but I’ve watched enough TV to know the following statements. In prison, you are forced to eat the food they give you. In prison, your cell looks the same from the time you get there, to the time you leave. In prison, someone tells you what you can and cannot do. It is very common for high end venues to only allow “in house” caterers and vendors. That’s right, in case you haven’t found that out by now, you’ll find that many venues don’t allow your own vendors. Why? $. That is how this all works. In the first reason we discussed price and this is another reason your venue is so expensive. When you use the venues preferred vendors, there is a really good chance there is a behind the scenes partnership that keeps them profitable and results in you paying way more for those services had you been able to book it yourself. Next, your view. The venue itself. The only real reason a bride chooses a venue is because they’re in LOVE with the property. Who knew finding your dream wedding spot could be so expensive. But, you can’t change it. If it’s an indoor facility, what you see is what you get. Sure you can decorate (which I’m sure there are some restrictions) but there is a little secret to this. You’ll typically get a small time frame to setup your entire wedding and decorate. Why? Let’s say you’re getting married on Saturday but the venue has an event Friday evening…. You can’t decorate until Saturday morning, ON YOUR WEDDING DAY. Talk about last minute stress. By the way, why charge extra whether your wedding is on Saturday vs any other day? Oh, because they can nickel and dime you. Lastly, every wedding has a boss. The only question is, are you the boss of your own wedding or is the venue telling you what you can and cannot do? With an outdoor tent wedding, you’re the boss. Take as long as you want to decorate, celebrate and do it however you want. You lose a lot of control when renting a venue because they come with a lot of restrictions. So make sure you know what you can and cannot do before you choose the venue. This article does NOT apply to ALL venues. However, these are the common reasons your venue might be a complete waste. Hopefully you have a better understanding of the main things to consider before choosing a wedding venue. If you’re thinking, “if I don’t get married at a venue then what am I supposed to do?”. My recommendation would be to consider an outdoor tent wedding. This isn’t to sell you anything, this is to inform you. Disclaimer: If you truly disagree with this article, we completely understand. We have no intention to belittle your venue if that is the route you have chosen for your wedding. 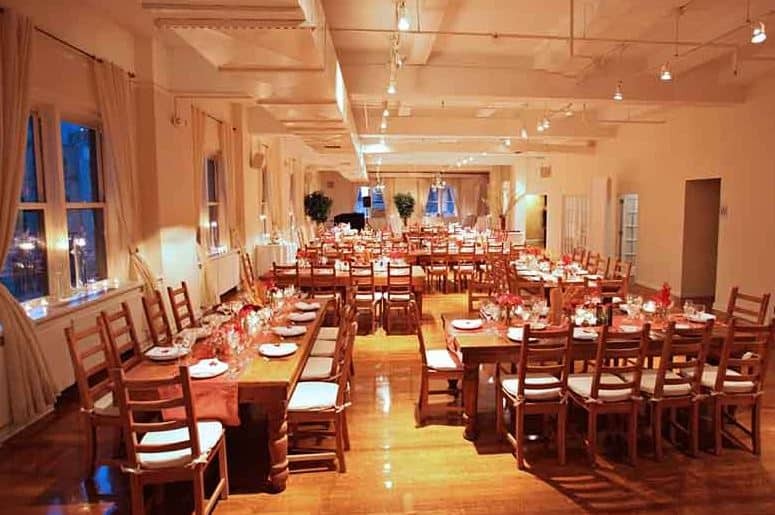 We work with a lot of venues and love what some of them offer to their clients. Congratulations on your marriage and we couldn’t be happier you’re on your way to a gorgeous event. 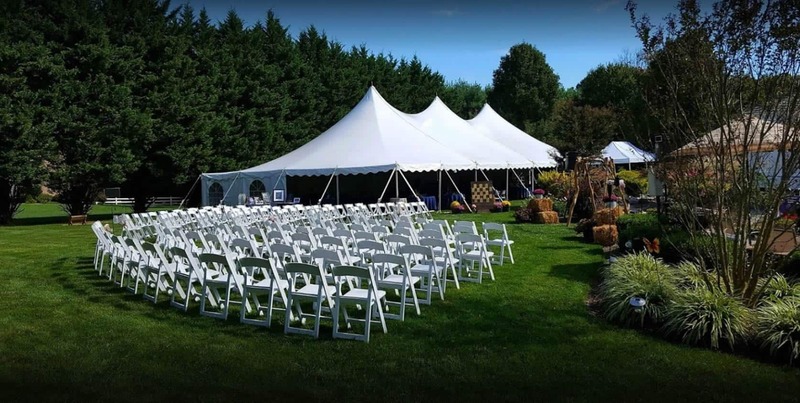 If this article has you considering a few things and you want more information on an outdoor tent wedding then please reach out to us so we can show you how easy and beautiful they can be. Thanks for reading everyone!